We carry one of the widest selections of landscape mulch available in the Great Lakes Bay Region, from shredded wood and bark products (natural and color-enhanced), to pine bark flakes and pine needles. 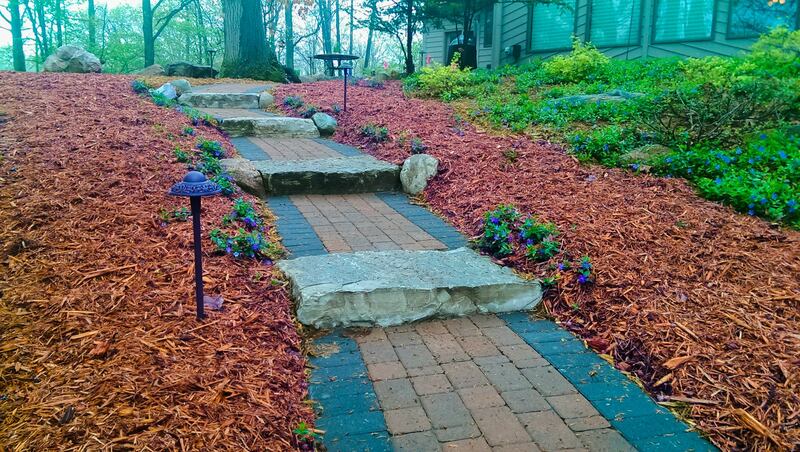 Each type has its pros and cons, which can be compared in our Mulch Comparison Guide. Whichever type you choose, mulch provides several valuable benefits for both the health of your plants and the beauty of your landscape beds. With your mulch order you have the option of picking it up at our nursery or opting for landscape mulch delivery to your door. Better yet, let us take the work out of it altogether by delivering and installing the mulch for you. While remulching isn’t overly complicated, it does take some hard work and patience to do it well, and we thrive on both. If you are unsure what mulch to order don’t worry! Just give us a call at (989) 835-8260, and one of our landscape professionals will walk you through the entire process. We look forward to working with you!